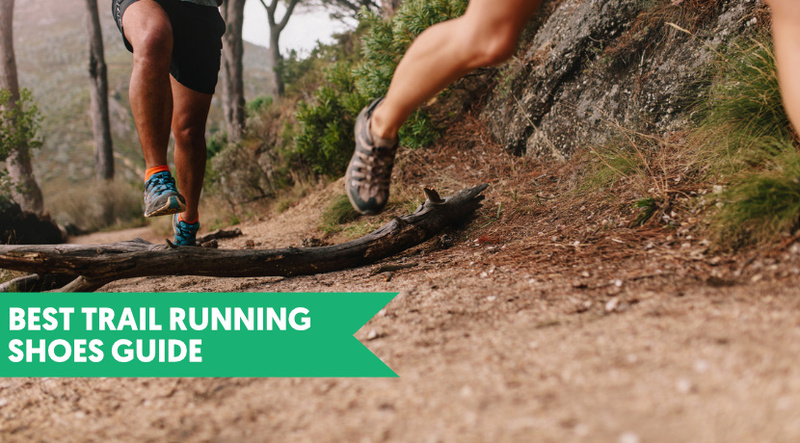 In this guide, we're going to help you find the best trail running shoes for you by walking you through all the options that you should consider. If sold out trail events and races around the world are anything to go by, it is safe to say that trail running has become incredibly popular during the past two decades. 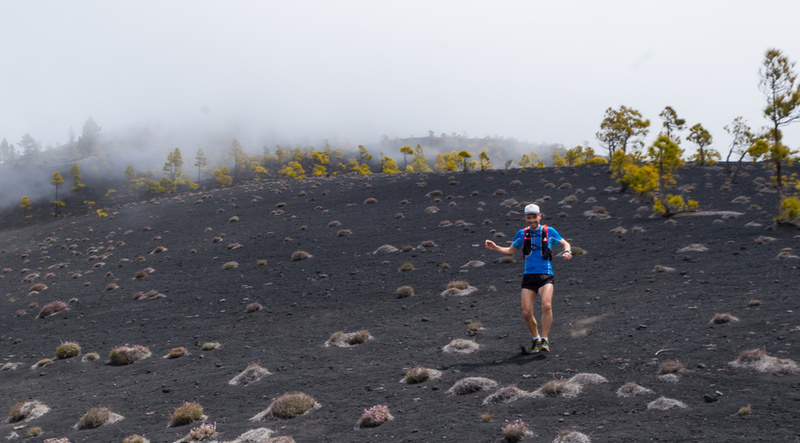 Many new participants include road runners looking for the relaxed atmosphere that trail running offers. New athletes are also recognizing the health benefits of hitting the track for mental reset and relaxation. The increased interest in the activity has prompted many companies to design some of the best shoes for trail running. Some of the models are generalized for all kinds of trails, but you can find a few shoes specialized for distance and terrain. This post aims to help you choose the best trail running shoes that will guarantee a great experience off the beaten path. The most important thing to remember with trail running shoes is that there’s no perfect do it all option. We all run in different ways, and we all want shoes for different things. Today we’re going to discuss different types of people and what they want the shoes for, and then we’re going to go on to talk a little bit more about the ins and outs, the technical parts of buying your trail running shoes. So let’s say you’re the kind of person who lives in a city, and you go out into the forest, and you want to run on the trails in the forest. You don’t need something, which is going to give you loads of traction. You want something, which is a right mix between running on hard surfaces and running on spongy, soft surfaces in the forest. So you don’t need like deep lugs to give you traction. You just want a nice flat sole just like you’d get with a solid Salomon X Scream 3D. This is absolutely perfect for people who are living in the city and they do a little bit of trail running or are just starting out, but spend most of their time running on the road. So this brings me on to the next kind of person who wants a shoe, and that’s somebody who’s doing technical runs. For this type of running, something like the Speed Cross 4 would be a perfect choice because it’s got excellent traction, so it’s good for soft, soft ground. It’s not so good on hard stuff. But it’s nice and soft so you get a feeling of, of running, but it doesn’t give you great support. If you do long distance runs this is not going to be the best shoe for you because your, your arch is going to collapse, it’s going to give you pain. But for technical running, it’s an excellent option. So let’s say you’ve already worn through a couple of pairs of shoes, you’re quite an experienced runner and you’ve got nice strong feet and a strong running style. You want something, which is going to push you forward and something that you can run mid to long distances comfortably and gives you support without holding you back. So when you’re running on your toes for a long time, it’s going to feel nice and comfortable and you can just run for kilometres at a time and not feel like you’re getting tired. And finally, let’s say you’re the kind of person who wants to do a really long distance run such or you get tired quite quickly or you need a shoe which has just got really good protection because you end up doing lots of trail running on really rough terrain. You want something with good protection and good support – especially if you’re looking for a running shoe for ultra marathons. Salomon Wings Pro, this is going to give you support underneath the arch because the foam here is a lot harder, which provide cushioning and support. And also the frame of the shoe is nice and supportive, so it holds your foot in a good position and when you get a little more tired, you need that support and control to be able to maintain a good running style without being too tired and feeling like your ankles are going to roll over. Hopefully, that’s given you a good overview of different types of runners and what they need shoes for. But there’s a few more technical things we can talk about for helping you decide which shoe is going to be the best for you. The drop height or differential, is a difference in height between the heel and the forefoot. A shoe with a larger drop height will tilt your foot further forward. These types of shoes are great for those looking to progress in to high performance running as it forces you to land in the middle or front of your foot. 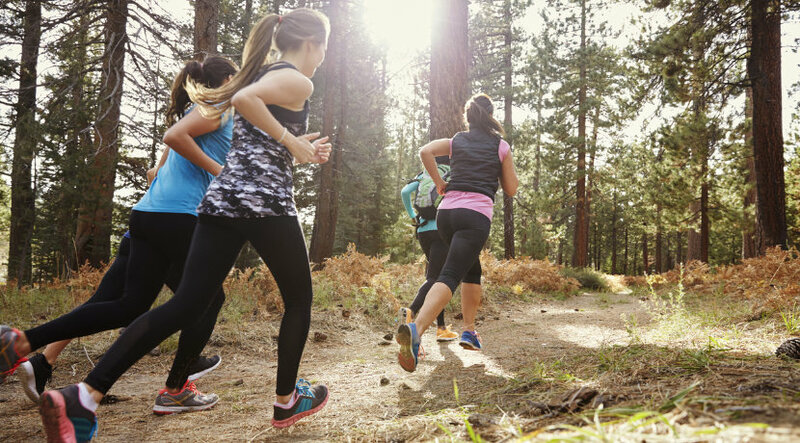 As you progress, you’ll want a lower drop height, so that it’s easier to run downhill in the middle of your foot without feeling like you’re being pushed forward. The hightest performance shoes for pros have no drop height at all and are lighter and easier letting you move faster. Motion Control refers to the support and control the shoe will provide for your arch. A neutral position is preferred where your lower leg is in a stable straight line. This will reduce stress on your joints and give you a more stable feeling. Pronation, where the arch collapses inwards and supination where the foot rolls outwards giving an unstable feel will cause problems in your knees and hips. These problems need addressing through motion control. If you think you have either of these problems, we recommend seeing a podiatrist to get more specialised advice, especially if you’re planning to undertake longer distance. The body acts as a natural shock absorber for running, but if you’re heavier than 80 kilos then it’s worth going for a shoe that will provide extra cushioning. This will reduce the impact on your knees and hips. If your shoes are too small, your toes will hit the end when you run downhill. If you’re buying technical running shoes we recommend going one size larger. There’s always new technologies appearing, some shoes have different lacing systems. Toe designs and everything. Don’t get too bogged down with these different technologies because they’re constantly evolving. Look at the most important thing, so whether it gives you enough support, whether it’s got the right kind of drop height for you, whether it gives you enough cushioning and if you’re doing more technical running, if it’s going to give you enough grip. So hopefully, that’s given you a good overview of what you need – a good introduction into buying trail running shoes. Designed with runners in mind, the Nike Air Zoom Terra Kiger 3 is an excellent shoe that allows for a wonderful blend of comfort and functionality while running. Much of this comfort is due to the upper design which is much less irritating to the foot than other options, but the unique design also benefits from many cushioning and fit features that set it apart from other options. Overall, the Zoom Terra Kiger 3 is a great option for trail runners looking for a shoe that has been specifically designed with these users in mind. The upper of the shoe works to offer increased breathability for your foot while also providing enhanced support. The upper is designed in such a way to be even less irritating to the foot than other options. The upper also features Flymesh Construction. The Flymesh Construction used by the shoe is new in this release and contributes to the enhanced breathability of the shoe and the optimization of the shoe’s fit. Despite the extra support and comfort in the Kiger 3’s upper, the shoe’s upper is actually a bit on the thicker side. Compared to previous incarnations of the Kiger, the upper of the shoe is a good bit thicker than previous versions in the line of shoes. Overall, however, the shoe’s upper provides for some excellent comfort in a shoe of this type and may well be worth the extra thickness for many wearers. The soles of the Terra Kiger 3 are designed for comfort and have some excellent features which make the option stand out among other similar running shoe alternatives. The shoe’s outsole is Dual Density and works to provide some impressive gripping and durability characteristics to the shoe. The grip works pretty well on wet and dry services, even through muddy environments. The Kiger 3 also features a Phylon full-length midsole. This midsole works well to allow for enhanced cushioning on the shoe. The shoe has thick midsole foam that is thicker than the previous versions of the shoe. Overall, the cushioning is very lightweight, while also being impressively lightweight and durable. The Nike Air Zoom Terra Kiger 3 has a pretty standard fit as far as running shoes go. The shoes will work well for standard sized feet but also do fine for users whose feet are just a bit on the wider side. The midfoot, forefoot and the heel all have standard measurements. The shoe is available in men’s standard widths of D and can also be found in women’s standard widths of B. The shoe fits nicely, and the shoe’s Dynamic Flywire system works well in tandem with the shoe’s lacing system. The Merrell All Out Crush is an excellent shoe that is ideal for adventure activities and trail running. Due to great traction abilities, light weight, and a secure and comfortable fit, the All Out Crush shoes do a great job overall and work well to edge out the competition. The shoe provides all the comfort you should want during trail running or another adventurous activity and works well even when used on the roughest of terrain. While the shoe is a worthy choice, there are a few drawbacks to the All Out Crush. Although it has a few drawbacks, it is overall an excellent shoe that is perfect for trail running and other outdoor activities. We’ll go over the best (and worst) of the Merrell All Out Crush below, so keep reading to get the full scoop. Mesh materials compose the upper section of the Merrell All Out Crush and allow for plenty of air to get into the shoe and allow feet that extra bit of breathability. The shoes also feature TPU synthetic overlays which help to drain water from the shoes should users be running under wet conditions. The All Out Crush shoes also feature a toe cap which provides for extra protection for the toes and some exceptional durability and security. Overall, the materials used in the upper do an excellent job in allowing for breathability. Additionally, the upper is easy to wash and has been known to dry very quickly compared to other shoes. The soles of the All Out Crush feature excellent comfort and work to provide improved grip and traction to runners of all kinds. The outsole features the M-Select Grip. The M-Select Grip is a rubber outsole made by Merrell and helps to provide traction. The sole also features 5mm lugs which are designed to deliver support and enhanced grip capabilities to wearers. The rubber used in the outsole is a bit flexible, whereas the lugs are steady and solid. The midsole of the shoe provides fantastic cushioning for runners. The midsole is made from integrated EVA and along with the TrailProtect pad works to provide added protection to users. Despite being comfortable and secure for the most part, some online reviewers have found issues with the soles of the Merrell All Out Crush. Some users have noted that the soles aren’t as durable as they would like them to be. The size and fit of the Merrell All Out Crush is snug and secure while still being very comfortable. The shoe is available in a standard length and width, typical of many running shoe choices. The shoe also provides a quality upper which offers a snug fit. The upper has a sock-like fit a toe box area which is secure and comfortable. The Hoka One One Tor Ultra Hi WP are trail running shoes that are ideal for your daily running needs. The shoes are an impressive option due to being waterproof, excellent cushioning and grip, and roomy toe box. The shoes are blessed with an incredible construction and design that makes for a great choice for use on the trail and during other adventure activities. Unfortunately, all of these features do come with a pretty hefty price tag. The shoes are more expensive than many of the shoe’s competitors. Despite the price tag, however, the Hoka One One Tor Ultra Hi WP shoes are a great choice for runners and hikers who are looking for a great product that boasts plenty of functionality and comfort. The upper of the shoe features full bootie construction that helps to prevent debris from getting into the shoe and has a sock-like feel. Nylon mesh material creates durability in the shoe’s upper and allows for air and breathability. The eVent waterproof material has water resistant capabilities and helps to keep your feet dry under the wettest of conditions. The suede leather upper also helps to provide water resistance capabilities. The collar is molded in the upper and suits the heel and ankle well, providing extra comfort. There is also extended lacing and a reinforced toe area. The soles of the Hoka One One Tor Ultra Hi WP provide plenty of comfort and grip. The soles are very high quality and offer some great cushioning for the feet. The outer sole of the Hoka One One Tor Ultra Hi WP uses the Vibram MegaGrip outsole. The Vibram Megagrip is a great addition and provides some pretty amazing grip abilities for both wet and dry surfaces alike. The lugs in the sole boost the shoe’s ability well and provide for traction and durability on all kinds of surfaces. The midsole is also impressive and utilizes a blend of soft EVA cushioning along with RMAT midsole. The EVA cushioning used by the midsole is even softer than traditional EVA materials and the RMAT is very lightweight. The soles offer excellent stability and comfortable support due to features used in its builds such as the Active Foot Frame and the Late Stage Meta-Rocker Geometry. The Tor Ultra Hi WP shoes have a nice and comfortable fit and the shoes are available for purchase in standard sizes. While the heel and the midfoot have a pretty snug fit, the toes are given plenty of room that allows for a comfortable toe box for trail runners. The shoe can be used well by someone with a middle sized foot or a wider foot. It comes in a standard D width for men and a standard B width for women. The Salomon Speedcross 4 is a shoe that is for trail running and is perfect for daily runs. The Speedcross 4 has an excellent design that primarily benefits from some great traction, a roomier toe area, and great performance and durability. The Speedcross 4 is also very lightweight and comes in many colors that are available for users. The durability and lightness of the shoes combine well to make for a wonderful hiking and trail running option that beats out many alternatives to the shoe. The shoe also has some excellent features that sets it apart from the pack such as the Quicklace system, which adds to the convenience of the shoe and makes it very easy to use. Overall, the Salomon Speedcross 4 is one of the best options for hikers and runners interested in a highly functional and lightweight shoe option. The upper of the Salomon Speedcross 4 is great and works with the SensiFit system to provide comfort and function to wearers. The shoe also has anti-debris mesh midfoot overlays that are stitched in and help to connect to the QuickLace system. Together all of these aspects contribute to security and comfort for the wearer. Fitting the shoe correctly for your feet is quite simple due to these processes. The interior of the shoe has the Ortholite sock liner which claims anti-microbial and moisture-wicking features, which help to reduce the impact of moisture during use. The soles of the Salomon Speedcross 4 are optimized to provide superior traction attributes and are also on the thicker side. The outsole uses the Contagrip rubber, which helps to offer the sole excellent traction and grip abilities. The grip has been known to be excellent even in the most challenging of surfaces. Some online reviewers have reported that the shoes have worked fine on snow, mud, and wet surfaces. The lugs on the shoe face across from each other and work to provide multi-directional grips. There is no rock guard on the shoe, so the lugs are the primary feature which is used to protect against objects and debris along the trail. The midsole is thick and is composed of molded EVA. The molded EVA helps the midsole to offers protection against problems and objects on a variety of surfaces. Overall, the soles of the Speedcross 4 are very durable and responsive. The Speedcross 4 is true to size and has a natural fit for users. Padding in just the right places helps to give the shoe a snug but comfortable fit that works well. The shoes also provides for excellent security and stability..
Like previous versions in the Speedcross line, the fit of the Speedcross 4 is slightly narrow to medium sized, meaning users with larger and wider feet may not be suited for this particular line. Other users, however, will find much to love in the fit of the Speedcross 4 shoes. The Asics Gel Venture 5 are sleekly designed running shoes that are perfect for the trail. The shoes offer a great fit, excellent traction, and some great features that set the line apart from other shoes and make a great choice for outdoor activities. While the shoes are particularly optimized for the trails, this model is also great for other uses. The shoe features great soles that provide comfort and grip, has a standard size and fit, and features a comfortable and durable design. Overall, the shoes make a great choice for serious runners and the more casual user alike. The upper of the Asics Gel Venture 5 is incredibly breathable. The upper is composed of mesh material that provides good coverage and is also ventilated well. Additionally, the material of the upper is very secure. This security helps to ensure that the upper doesn’t shift easily while on the user’s foot. The upper of the Asics Gel Venture 5 also features synthetic overlays which help to support the structure of the shoe. These overlays wrap the foot nicely and snugly while protecting the foot. Unfortunately, some online reviewers noted that stitched sections of the shoe’s upper fell apart and didn’t last as long as expected. Despite these instances of trouble, many other users were perfectly pleased with the quality of the upper. The soles of the Asics Gel Venture 5 are durable and comfortable and offer versatile grip capabilities that are perfect for the trail or other kinds of outdoor activities. The shoe’s outsole helps to provide solid support and controlled maneuverability that works great for the trails. The outsole also has lugs that face multiple directions. These lugs are set up to help the shoe to provide a reliable grip and do a pretty nice job of it. The midsole features Molded Ethylene vinyl acetate. This material works well to help provide some excellent additional cushioning to wearers. Despite the comfort that the material provides, the material is also rather lightweight. The material provides superior comfort for the bottom of the foot and is also known as being an excellent material for helping to absorb shock. The Gel Cushioning System is also located in the soles of the shoe. The back of the shoe features the Gel Cushioning system and provides additional comfort, particularly to the heel of the foot. Unfortunately, despite the good qualities of the shoe’s soles, some online reviewers had trouble with the outsole rubber separating from the platform. The Asics Gel Venture 5 shoes have standard measurements that will work well for most people. The shoes come in standard sizes. The shoes also work well with the curved shape of the foot, as these are made with a semi-curved shape and design that fits the foot snugly. The shoes are available in standard widths, and so this particular shoe will work best for people with medium sized feet.